Garden House is our memory care specific community created around the unique needs of people living with Alzheimer’s disease and other dementias. 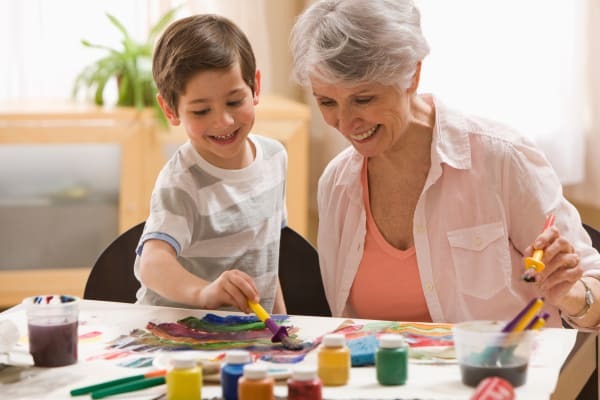 Residents enjoy an inviting environment with a team who is always warm and happy to help. You’ll find only intimate, comfortable rooms in our Garden House. Beautifully-landscaped, with secured outdoor courtyards and a specially-trained team on site 24/7. Memory care can foster a high quality of life for people living with dementia, easing the transition for both residents and family members. Check out the results of this survey, which focus on the real-life experiences of family members who have loved ones in memory care.